Emily: Today we’re talking about CodingSolutions. CodingSolutions is a highly competitive job readiness program that prepares new top of their class computer science graduates for success in career positions with innovative companies across Alabama. Today we’re going to dive into the details of CodingSolutions and what MotionMobs has been doing with them the past few months. To get things kicked off, can you tell me a little about how you and MotionMobs got involved with CodingSolutions? Taylor: CodingSolutions was referred to us from a friend of MotionMobs, and we had met with Nimrod Frazer and Paula Mims in Montgomery. We were really excited about their vision for creating really fulfilling additional software development positions in the state of Alabama. We have approximately 4,000 open tech positions with an average salary of about $90,000 throughout the state, and we want to keep those jobs in Alabama. It’s so important for the state’s economic development, and it’s really wonderful to have found clients who have an aligned vision that’s important for our company’s vision as a whole and something that they wanted to pursue as a business model. Emily: We know workforce development is something that the tech community talks about across the state. It’s important for us to retain that top programming talent and to not lose them to other states that may sound a little flashier than Alabama is. What made Rod and Paula decide the correct solution for retaining top talent in the state was a startup, not a long-established business or community organization? Taylor: We need a new, innovative approach to keeping jobs in Alabama, and with 4,000 available positions, it’s not as simple as one company, one startup, or one large organization working on solving the problem. We have to work together as a state to fill these jobs and to give new engineers the training, resources, and encouragement that they need so they can have a successful career here in Alabama. Emily: Sounds great! Now I’m going to ask the blunt question. Is CodingSolutions a coding bootcamp? Taylor: We specifically want talented engineers to come to CodingSolutions who already have previous experience and training in software development. It could be someone with a computer science degree, information systems degree, or even someone with an unrelated degree–or no degree at all–that has experience building software programs. The entire program starts with an understanding of what these students want, what are they interested in, and what type of career are they seeking. CodingSolutions is providing top instructors from our community who are going to walk candidates through a new software development project that will be used in the community. In the process, they’ll add additional professional development skills to help them start their career in the right place. Emily: That’s great! 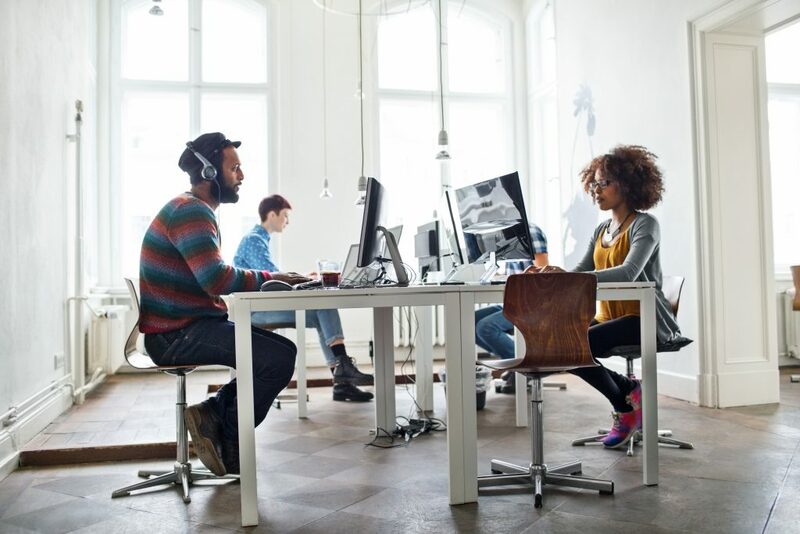 Instead of teaching individuals how to code, they are teaching individuals who already know how to code how to be constructive team members in a variety of company environments. 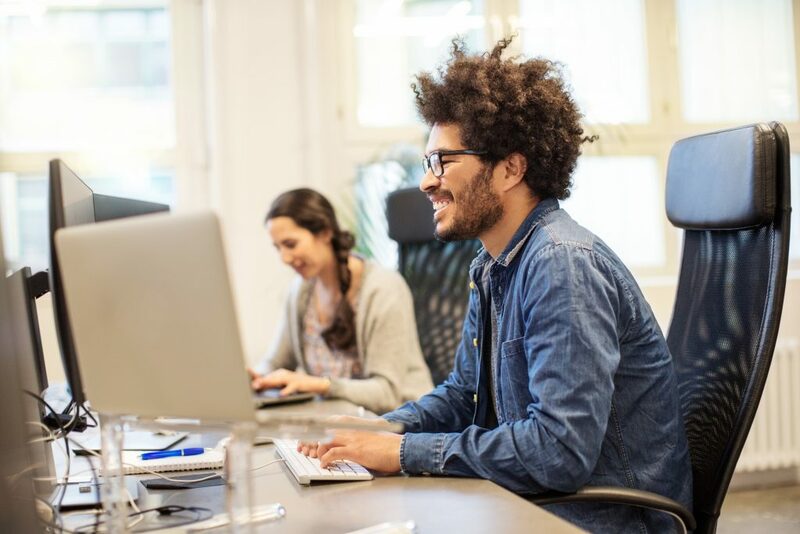 Whether it’s in a nonprofit organization, a startup, or a really large established company, you’re helping guide these new programmers down the path of success, so when they land this great job they’re ready to go from the very beginning. You mentioned earlier that CodingSolutions is tuition free. That’s a huge step. Why is CodingSolutions tuition free? Taylor: The goal is to take best-in-class engineers that are young professionals looking to establish a career in Alabama and remove any barriers to entry. We don’t want or need expensive courses. Companies in Alabama already want these students and are willing to provide training to help them be a part of their company. CodingSolutions is taking the risk and has the confidence to create a fund to invest in any candidate and student they select for the platform. A very small percentage of applicants will be accepted. Then we’re going to simply take a placement fee from our hiring partners if they hire one of our engineers. There’s truly a lot of confidence in these students that are being selected, and in the process itself. Emily: I love the investment in these students and in this state. This fund is incredible. I will say though, if you’re asking for a placement fee from the hiring partners, does that make CodingSolutions like a traditional tech recruiter? What makes them different? Taylor: It’s different from a tech recruiter in a lot of ways. Hiring recruiters hire for a lot of different positions: everything from bookkeeping to accounting to technical positions. The entire platform at CodingSolutions is built around young software developers, and they’re only placing young software developers. CodingSolutions is selecting the candidates. CodingSolutions is providing the training. CodingSolutions is providing all the resources. Companies who are looking for software developers can use CodingSolutions’ process to find candidates, interview them, and then choose the best fit for their team. Emily: In order to make this marketplace work it’s a two-sided marketplace: you have candidates apply to the program and then you have hiring partners willing to hire those candidates once they finish the course. You need players on both sides in order for success to happen. Tell me a little bit about what CodingSolutions has done so far in drawing up community support. Taylor: We have been really fortunate. Both MotionMobs and CodingSolutions have had an overwhelming response to this. We’ve had everything from startups to nonprofits to large organizations sign up as hiring partners. We have about 25 hiring partners part of CodingSolutions right now, and that number is continuing to grow. UAB, Alabama State University, as well as many others have been huge supporters of the program and have not only promoted it to their deans and their professors, but also sent out emails directly to their students letting them know about the program and encouraging them to apply. Emily: Awesome. I know CodingSolutions is still in the early stages and they’re just getting set for their very first cohort, tell me a little about timeline. I know you said applications are open, when do applications close? When does the first cohort start their training? When do they wrap up? Taylor: Great question. The application deadline is approaching very quickly: November 15 for the first round of cohorts, and the cohort starts in early January 2019. It is a six-week program. By the end of the program, they will already be connected with hiring partners in the area they are pursuing for their career. Emily: What’s the long term plan for CodingSolutions? Right now you’re starting with one cohort? What does this look like a year from now? Two years from now? Taylor: During the first cohort, we are going to accept between 25 and 50 students. From that point forward, we going to accept 50 students into the cohort. We want to keep expanding the program and have multiple cohorts per year. Ultimately we want to get to the point where we have ambassadors in different communities who are focused on spreading the word and communicating directly with the students. We want to continue to grow the number of cohorts we have per year just on demand and help really move the needle on these 4,000 unfilled jobs in the state. Emily: This has such a great impact on the state of Alabama as a whole. Companies want to hire top talent, and I know when students are getting ready to graduate from school, anything that makes it easier to get a job is definitely at the top of their list. So what if someone wants to get involved? How does somebody become a candidate in the CodingSolutions program or how does someone who wants to hire a candidate get on as a hiring partner? Taylor: If you want to be a candidate, the best place to start is to go to http://trainwithcodingsolutions.com and apply. You can get a lot more information on the website as far as timelines, the program, and how to get involved. If you’re not a candidate yourself, please feel free to share the website with someone who is or reach out at any time with questions. If you’re looking to become a hiring partner for the platform and potentially hire some of these candidates, you can email CodingSolutions at info@trainwithcodingsolutions.com. Emily: Sounds great. Well, I’m so excited to have this program in Alabama. 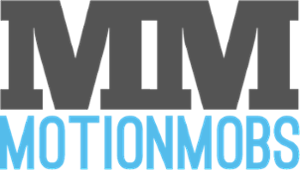 I’m thrilled for MotionMobs’ participation as well as the schools and the companies around the state that have expressed interest in the program. Go check out the website, http://trainwithcodingsolutions.com. You’ll find more information about joining the cohort or becoming a hiring partner.